A healthy whole wheat crust that comes out soft and chewy on the inside and crispy on the outside. Use with your favorite pizza toppings or pizza recipes. Although making pizza is simple, there are still a few tricks that can help ease the process along. 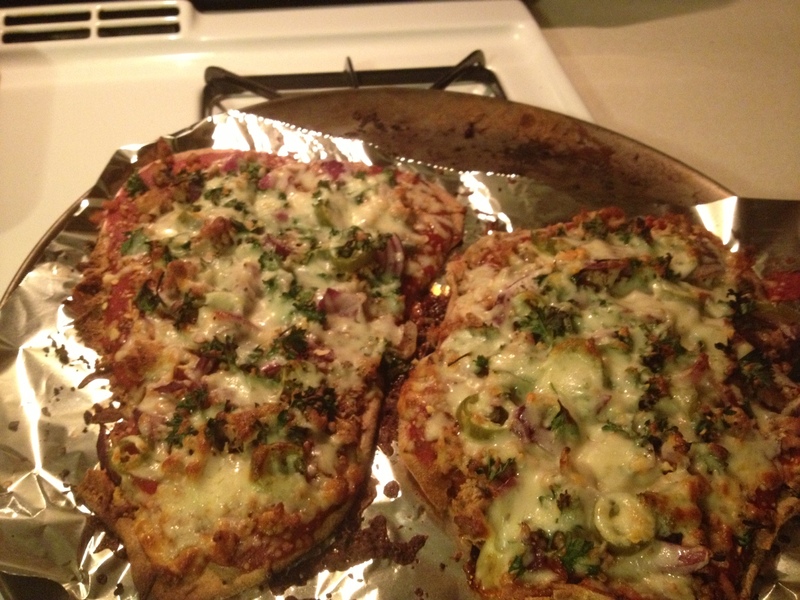 This recipe makes two pizza crusts or one very large crust. If you would rather make individual pizza pies, portion the dough into as many round balls as you want pies. Once the portions have been formed, cover and let the dough sit for 5 to 10 minutes to allow the gluten to relax before rolling the dough out. Flour the surface of your work area to keep the dough from sticking. While you don’t need to use a rolling pin to roll the dough out, it will help maintain a consistent thickness. Another approach is to pound the dough down with your fist or the palm of your hand–this is just a preliminary shaping, to form the dough ball into a disc. Dust your hands with flour to keep the dough from sticking. Gently stretch the dough using the back of your floured hands, letting the weight of the dough pull the dough thinner. Use the backs of your fingers to push the dough out wider. Start in the middle of the dough with both hands close together, and slowly pull your hands apart, allowing the dough to glide above your hands. Turn the dough about 15 degrees on your hands and repeat this step until the dough is thinner, wider, and consistent throughout the entire circumference of the crust. Try spinning the dough in the air. This is certainly not required, but it’s a lot of fun! It also helps to make the dough more round. Cover a bread peel (a rimless baking sheet or heavy square of cardboard will also work well) with either flour or corn meal. This flour layer is vital because it keeps the dough from sticking to the peel. Place the dough on the peel. Complete any final forming of the shape. Arrange whatever toppings desired onto the newly formed homemade crust. Check out all of my Healthy Recipes for something new!